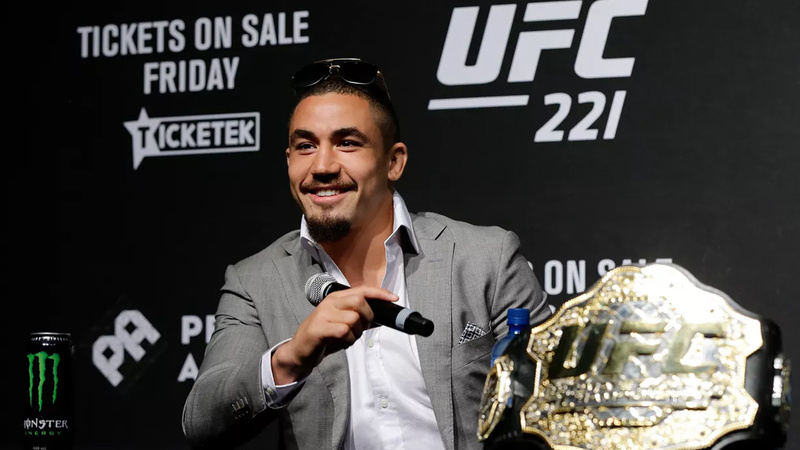 Interim UFC middleweight champion Robert Whittaker was at one time extremely close to fighting Michael Bisping. “The Count” has just knocked out Luke Rockhold for the belt, and Whittaker would end up winning the interim title after defeating Yoel Romero. The stage was set for the two middleweights to lock horns, but injuries and Bisping’s recent retirement forced the fight from ever becoming a reality. Whittaker even called Bisping out after winning the interim title against Romero at UFC 213 in July 2017. At the time, Bisping had won the middleweight title and defended it once in a competitive rematch against Dan Henderson, so a title unification bout between the two seemed inevitable. Alas, it was not meant to be, as Bisping would ultimately end up taking a bigger money fight against a returning Georges St. Pierre. Bisping lost that fight and lost the belt in the process. An ill-advised quick turnaround fight against Kelvin Gastelum just weeks after the grueling GSP loss saw “The Count” lose by vicious first round knockout. While he did tease a possible retirement fight, Bisping ultimately retired this past week. “Creating a legacy is one of my overall objectives in my career as a fighter,” Whittaker said. “And it didn’t stop when I got sick. That is part of the legacy and that is part of my journey. Being sick and going through those turmoils and hardships is what makes the rewards so sweet, or what makes getting over those bumps and those obstacles so glorifying. Would you have like to have seen Whittaker and Bisping fight before “The Count’s” retirement?